Side view of of St Paul's Cathedral, one of the most distinctive of London's landmarks. There has been a church on this site since 604 AD. 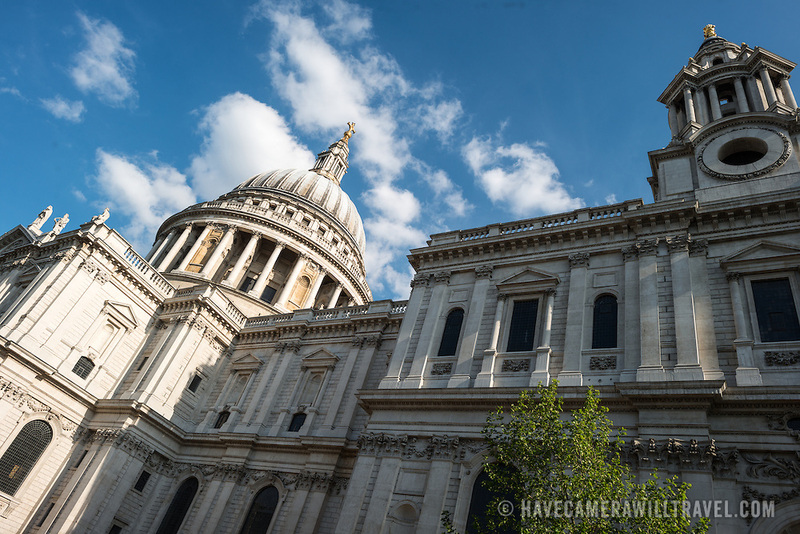 The current building, with it's massive dome, was designed by Christopher Wren and dates back to the late 17th century.